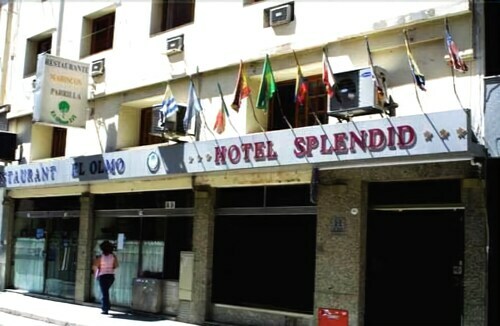 Located in El Centro, this hotel is within 1 mi (2 km) of Argentine National Congress, Obelisco, and Teatro Colon. Florida Street and Buenos Aires Metropolitan Cathedral are also within 1 mi (2 km). Congress Station and Callao Station are within a 5-minute walk. 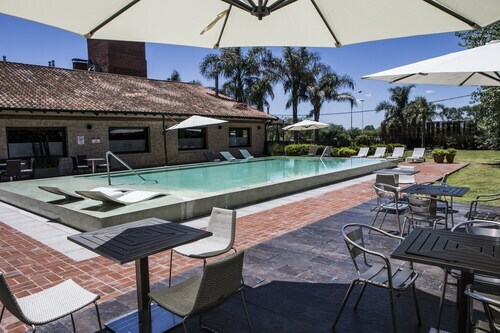 Situated near the airport, this spa hotel is within 9 mi (15 km) of Feria de Mataderos, Pedro Bidegain Stadium, and Campanopolis - Aldea medieval. Palermo Soho and Estadio Velez Sarsfield are also within 12 mi (20 km). 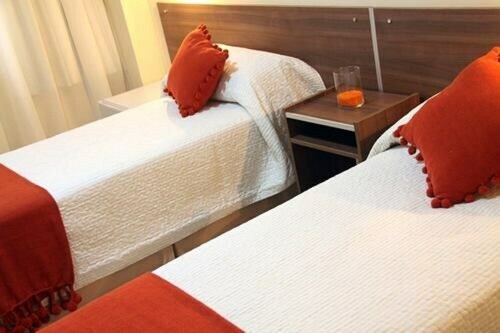 Located in Puerto Madero, this aparthotel is within a 15-minute walk of Plaza Dorrego, Presidente Sarmiento Frigate Ship Museum, and Women's Bridge. Casa Rosada and Centro Cultural Kirchner are also within 1 mi (2 km). Buenos Aires Independencia Station is only a 2-minute walk and Buenos Aires Belgrano Station is 10 minutes. 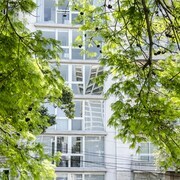 Located in Palermo, this hotel is within 1 mi (2 km) of Palermo Woods, Palermo Soho, and Japanese Garden. Alto Palermo Shopping Center is 1.4 mi (2.2 km) away. Palermo Station is 6 minutes by foot and Plaza Italia Station is 9 minutes. 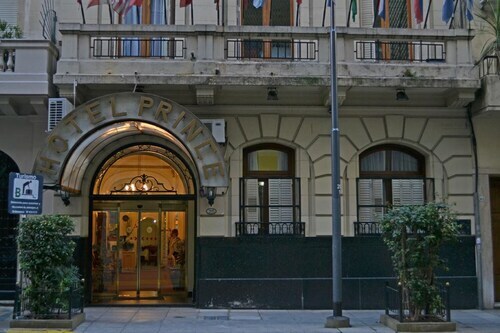 Located in Balvanera, this hotel is within 1 mi (2 km) of Museo Casa Carlos Gardel and Argentine National Congress. Obelisco and Plaza de Mayo are also within 3 mi (5 km). 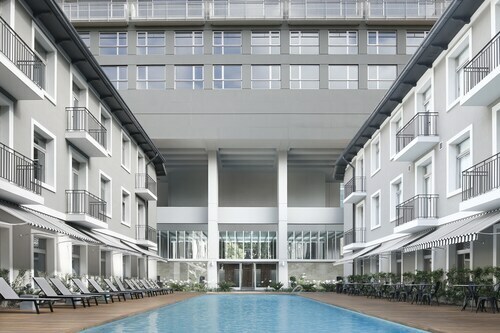 Alberti Station is 11 minutes by foot and Miserere Square Station is 12 minutes. 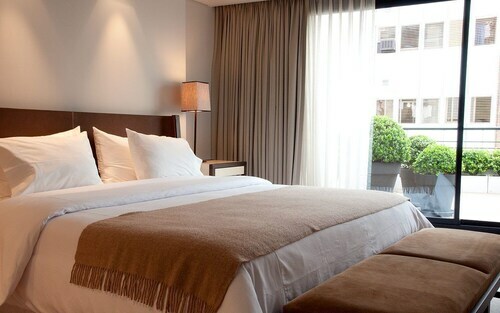 Located in Recoleta, this hotel is within 1 mi (2 km) of Santa Fe Avenue, Teatro Colon, and Obelisco. Florida Street and Plaza San Martin are also within 1 mi (2 km). Callao Station (Cordoba Av) is 9 minutes by foot and Court Station is 14 minutes. 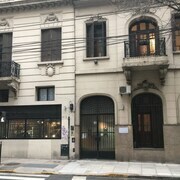 Located in Balvanera, this hotel is within a 15-minute walk of Abasto Shopping Center and Museo Casa Carlos Gardel. Argentine National Congress and El Ateneo Grand Splendid are also within 2 mi (3 km). Loria Station is only a 5-minute walk and Miserere Square Station is 7 minutes. 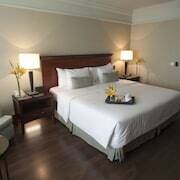 Located in El Centro, this hotel is within a 10-minute walk of Cafe Tortoni, Obelisco, and Florida Street. Plaza de Mayo and Teatro Colon are also within 15 minutes. Mayo Avenue Station is only a 2-minute walk and Piedras Station is 3 minutes. 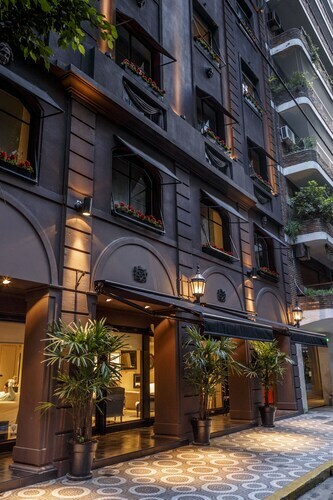 Located in Recoleta, this luxury hotel is within a 10-minute walk of Patio Bullrich, Recoleta Cultural Center, and Plaza Francia. La Recova de Posadas and El Ateneo Grand Splendid are also within 15 minutes. San Martin Station is 17 minutes by foot and Callao Station (Cordoba Av) is 18 minutes. 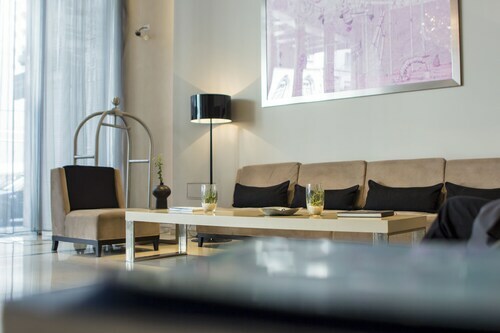 Located in Retiro, this family-friendly Buenos Aires hotel is within a 10-minute walk of Museo de Arte Hispanoamericano Isaac Fernandez Blanco, Plaza San Martin, and Florida Street. Teatro Colon and Obelisco are also within 1 mi (2 km). San Martin Station is only a 5-minute walk and Buenos Aires Retiro Station is 9 minutes. 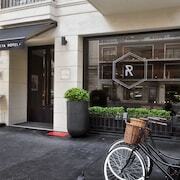 This family-friendly Buenos Aires hotel is located near the airport, within a 10-minute walk of Plaza Francia and Patio Bullrich. Plaza San Martin and Florida Street are also within 1 mi (2 km). Callao Station (Cordoba Av) is 19 minutes by foot and San Martin Station is 20 minutes. 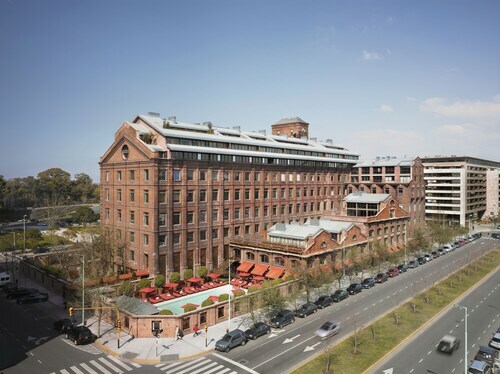 Faena Hotel Buenos Aires is set in the heart of Buenos Aires, just steps from the city's riverside promenade and ecological reserves and only 5 minutes from the financial district and the government house. How Much is a Hotel Room in Buenos Aires? 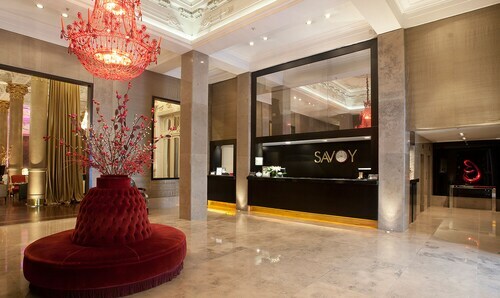 Hotels in Buenos Aires start at C$73 per night. Prices and availability subject to change. Additional terms may apply. Welcome to Buenos Aires, one of Latin America's most unforgettable destinations. Whether you're chilling at an artsy cafe or taking in a football match, you'll be immersed in its fabulous blend of cultures. Start with Plaza de Mayo, the town's main square and political hub. Teatro Colon, with its splendid Italianate structure, stands as one of the planet's best places to see the opera. Museo Nacional de Bellas Artes is Argentina's most significant art museum, showcasing works by Picasso, Rembrandt, Van Gogh, and others. The Cementerio de la Recoleta has been hailed as one of the globe's grandest cemeteries. Other popular activities include walking around Puerto Madero, a gorgeous district with many of the best hotels in Buenos Aires, and strolling through the gorgeous greenery of Paseo del Rosedal (Rose Garden Walk). If you have more time, explore the charming cobblestone streets and stores of Old Palermo (Palermo Viejo), take in the colorful markets of La Boca, and picnic beside the gorgeous Reserva Ecologica Constanera Sur. 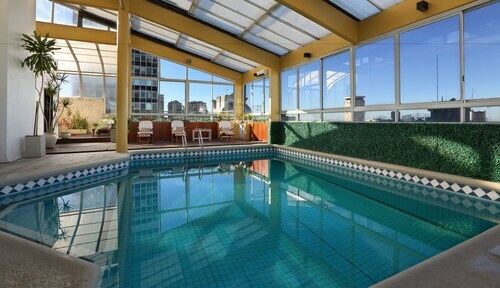 Before booking any Buenos Aires hotels, be sure the lodging is near attractions you wish to visit. Above all else, eat beef, drink wine, and go tango dancing. In addition to beef, local favorites include pizza, pasta, empanadas, and paella. However, the city has exploded onto the international culinary scene, with everything from Thai cuisine to Greek fare making headlines. For nighttime fun, the Palermo Soho area is great for dining, wine tasting, and partying, along with El Centro, Puerto Madero, La Boca, and San Telmo. 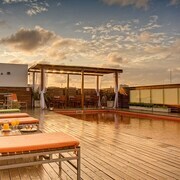 No matter where you decide to go out, cheap hotels in Buenos Aires are typically near an exciting action. Buenos Aires is a large and dynamic city. 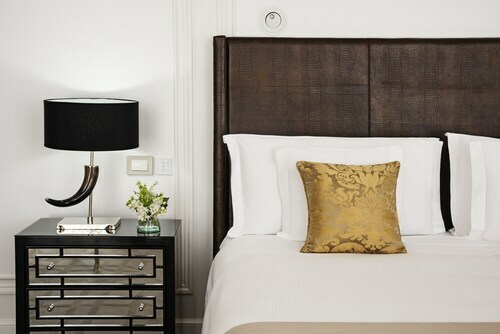 Seeking an early deal on historic hotels in Buenos Aires, for example, is a must for an unforgettable trip. 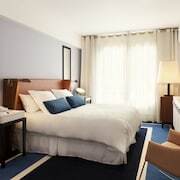 Search Travelocity for any kind of lodging you want, from hotels near the Buenos Aires Zoo to those near Lavalle Street. We love the location, can walk to the water and nature area. Like having the pool table by the bar for a game before heading out to dinner. 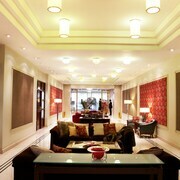 Hotel is very nice. I have no complaints at all. 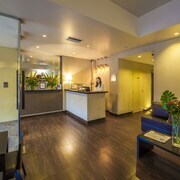 Great location, great rooms and friendly staff. Excellent location in Buenos Aires. Delicious breakfast with lots of options. Lovely little hotel on a quiet block. Don't let the name fool you, nothing "Luxury" about this place. Room was larger than expected, clean and comfortable. Bathroom was clean but shows its age. Someone with limited mobility may have trouble getting in/out of shower tub. Staff was most kind and helpful.